A week of Goldberg Variations, with wonderful (sell-out) audiences at Sheffield’s Crucible and at the Wigmore Hall following Bach on his great musical journey every step of the way. And before the concert at the Crucible a public discussion with Marcus du Sautoy (Professor at Oxford for the Public Understanding of Science) on the mathematics of the Goldberg Variations. Bach’s Goldberg Variations is one of those musical mountains that requires optimum fitness, exacting technique and complete knowledge of the landscape from anyone daring to negotiate its enormity. 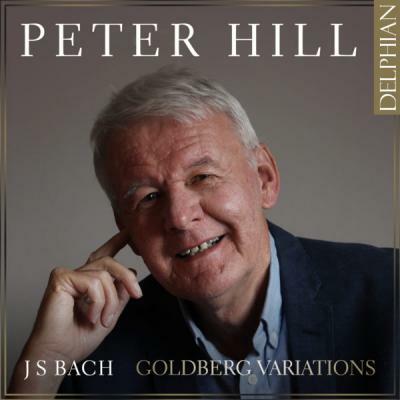 Peter Hill’s new recording for Delphian is beautifully administered on piano and sits firmly in the poetic and deeply considered camp. The exposition of the opening theme is like a slow awakening, the melody unfolding with graciousness and relaxed inevitability, its underlying harmonies perfectly cushioning the eloquence. The 30 variations follow with crispness and delicacy, each capturing their relative complexity in a drama that unfolds with flowing logic and unfailing good taste. Hill’s pacing captures that essential balance between action and reflection. It is a performance of enormous satisfaction and fulfilment. … He now addresses that Everest in the landscape of Bach’s keyboard writing with characteristically unshowy yet compelling results … [with] an honesty and intelligence that earns a place at the top table … overall Hill charts a pre-eminently lucid and illuminating course. Can The Art of Fugue be far behind?